Our final goal is not just promotion. We apply our main tools: advertising, branding, PR and all other internet marketing techniques to reach the final goal: attract customers, increase brand awareness, company and product awareness, and to ensure the loyalty and trust of the target audience. Full coverage. SEO is a set of techniques directed towards improving a website’s visibility on the search engine’s results page in a particular niche. The main goal of SEO is attracting relevant audience to the website and convert visitors into customers. SEO is one of the most profitable online marketing tools. We conduct a thorough site review to identify and resolve any hidden issues. The resulting SEO Audit report explains existing challenges and provides recommendations, ranked by priority level. Our Semantic Core strategy covers all possible aspects of online searches. Developing a Semantic core is a multi-step process. We analyze your keywords and keywords of your competitors to choose the top delivering ones and make them rank on the first page in the search engines. Our expert team has over 10 years of experience in developing SEO friendly websites. We recommend the design, menu and content for your site after determining what type of service or product your clients need. Our flexible set of SEO packages is the most cost-effective way to promote your website in all major search engines. We are pleased to present you a straightforward, up-to-date price guide, combining it with individual approach to save you from spending more money than you actually need. As a part of our regular tasks we do conversion optimization and A/B testing. We event have our own free A/B test calculator to achive statistically significant results. Contextual advertising (PPC) is the process of attracting a target audience using contextually relevant ads to more effectively convert the audience into customers. PPC advertising is one of the most flexible marketing tools available. A thorough audit of your Google AdWords account that includes all areas of your campaign. 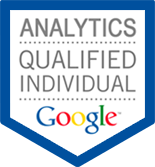 Our AdWords certified specialists know how to operate with keywords, bids and campaign settings and stay focused on the general picture. We pay attention to the details, but our main goal is ROI. We have a ten years experience of working with the AdWords platform for European, Asian and American businesses. 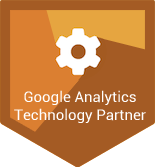 We are a certified Google partner agency, fully qualified and approved by Google to help you grow your business through the AdWords platform. Our best mobile advertisers not just create ads - they create powerful brand experience. Our mobile advertising is built for mobile. And that’s why it works. We have experience in placing ads on Facebook targeting countries in Europe, America and Asia. Our certified specialists will help you to get the most out of the opportunities provided by this advertising system. We will help your advertising reach an audience in the US and UK markets that prefers to use Bing as the primary search engine. 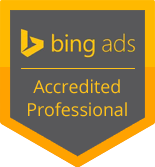 Our certified specialists know how to configure and optimize advertising campaigns considering all the features of the Bing platform. Our international German business school is renowned for offering the highest quality MBA programs. That’s why we work with companies that show a similar level of attention to quality - companies such as Netpeak. After 6 months of work, our website reached top search positions for all relevant search queries - something other companies couldn’t do in 3 years. Netpeak’s focus on increasing sales, and not just ranking for search queries, turned out to be the best approach for us. Morpher has worked with the internet marketing agency Netpeak for quite a long time and, seeing the results of our work, we would like to express the deepest gratitude to the specialists that put their enthusiasm, knowledge and energy in its success. Amadeus provides advanced technology solutions for the global travel industry. As a representative of Amadeus Ukraine I want to thank Netpeak for the quality analysis of the user interface of the Content Inn system. We want to thank Netpeak for the professional usability analysis of our site. Research results not only helped us to choose the direction for further development of the Abis Soft site, but also gave the opportunity to better understand the wants and needs of our customers. Online game portal QuickSave.su wishes to thank Netpeak for their professional and effective work on our project. Netpeak removed the penalties to our website set by Google and significantly increased visitor traffic.